I’ve tried. Tea is bearable. I’m not biased. Sometimes I boil water in my room and brew a strong cup of tea. Typically, I only feel so inclined when I’m sick. Only then do I believe in the power of extra vitamin c, additional supplements, cold medicine. You name it. My conclusion that if I believe the stuff actually works then I’ll overcome whatever bug it is that has inhibited my body. 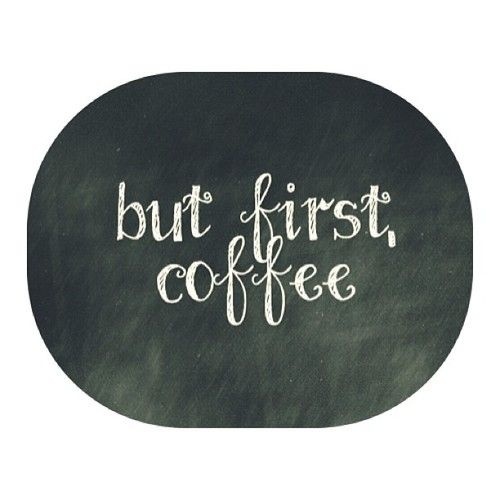 Coffee is where it’s at. Like others, my college budget doesn’t allow for a four dollar latte from Starbucks every day. That kind of reckless spending is hardly economical. That’s fine with me. I can do with another leisure: my Keurig coffee maker. One of the best birthday presents throughout my twenty years. Most people don’t need the extra calories pumped into most drinks elsewhere. And yet, on the rare occasion I treat myself—often out with a friend—I still laugh when they order a regular cup of Joe. I mean, for all I care, we could have just enjoyed a cup of coffee in my dorm. That’s just how my brain works. I’m practical and frugal. There is an analogy between the coffee and my writing. My writing, the writing I share with social media anyways, is a compilation of thoughts similar to discussions I’ve had over coffee. The range of topics is broad. Occasionally, I meet with a friend to say “farewell for now. Enjoy your adventures globetrotting. Other times I find myself in deep theological discussions. Often, the theme is hardly complex. Small talk at best. “How is school?” “How is work?” “How is your relationship with that special guy of yours?” Coffee Shop Talk. The atmosphere in most coffee shops I’ve run into are welcoming. Mostly laid back—well, except for maybe those that are within a 3 mile radius any mall. Hardly formal. Definitely energetic. This ideology is what gave me the inspiration to start my blog. I wanted a platform where I could be wrong. Make mistakes. Leave behind my grammar Nazi tendencies. And hopefully, make an impact. Be it big or small. This is my exhortation. If you are able to carry a conversation over a cup of hot liquid, I do not doubt your ability to write. One must not write to be known, but understood. I don’t mean to bore you. Rather, I desire to inspire you to begin your own adventure. In all honesty, life in words is may seem dull at first. But then, you look back on that first page you wrote. Your thoughts will probably vary. You may laugh, you may cry, you may feel inspired. I never write to grab the attention of a highly esteemed audience. Elite wordsmiths. That group is small. Ordinary people do extraordinary things. They are the ones who take risks. 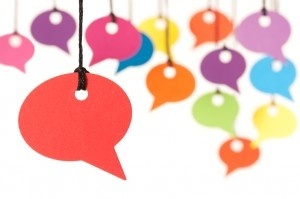 This group doesn’t let the burden of conformity shape their voice. I raise my mug of coffee—your choice of drink is entirely up to you—to the underdogs, the creators of mistakes, the adventurers, the risk-takers, the beginners, the aspiring wordsmiths, the coffee drinkers and tea drinkers. May you take note of the people and experiences who become a part of your writing adventure. A little bit of fiction, to kick off 31 days of writing. 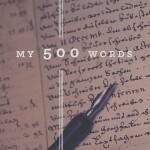 My 500 Words is a challenge created by Jeff Goins. It’s intended to inspire daily writing habits among writers in all stages. It’s a nickname unheard of among most college students. I accepted it. It was in no way offensive. In fact, I take it as a compliment. I am indeed the girl with the purple pen. Like most names, there is a story behind it. My favorite color is purple. My real name is Brittney. However, most people call me Brit. Naturally, I feel inclined to pen my thoughts with this seemingly majestic ink. Few students in my field have such a strange fetish. However, nothing motivates me quite so much as the flow of fresh ink across a Moleskine journal–another leisure I sometimes indulge myself in. I’m a communications major. Journalism and Media Production, to be more specific, is my area of expertise. A dying art. Pursued by few.The internet has already occupied the jobs of more than a few journalists. Even fewer who pursue it are successful. I’m considering a minor in professional writing. You know, something I can do outside of my 8am-5pm job. A hobby that could possible help with the student loans I will inherit once I’m on my feet. My goal is to pay them off before I presumably get married, have children, all that jazz. In the summer of 2012, I found myself in Port-au-Prince Haiti. A location desired by few high school students. It was there, I knew I wanted to write. I shared my experiences via a blog and was told “hey, you’re not half bad at this.” My travels were really a turning point. Kake, Alaska, Tijuana, Mexico, and Port-Au-Prince Haiti make for some pretty exciting adventures. They aren’t your typical vacationing spots. But I wasn’t there on vacation. All three times I was there for relief work. This purpose opened my eyes to instance I like to call “beauty in the broken” experiences. In Haiti, I first became aware of beauty in the broken. Life in death. Joy in the most depressing of places. Sweet music in streets filled with political riots. Hope in a land wrecked with economic strife, uncertainty, and violence. I’ve found that most people don’t understand to the full extent what I’m trying to say, where I’m going with all of this. Third world countries open your eyes to things which we are otherwise blind to in filthy rich America. Believe it or not, being well off has it’s downsides. Anyhow, in Mexico and Haiti, I kept a consistent journal. Not your typical entries i.e. “This morning I woke up and had Cheerios for breakfast.” Not that there is anything wrong with this information. In fact, it’s where I started out. I’d like to think I’ve made progress since then, but I some days are less exciting than others, and that’s OK. Many new writers are discouraged by this. I’ve been trying to emphasize to my friends and family that it’s not about what you write, it’s just important you write at all. Even those who right for a living didn’t wake up one day knowing they were going to write a bestseller. I’ve been writing for quite a while. I tried my hand in the field as early as elementary school with the typical “dear diary” entries. Didn’t we all? Some of us develop a habit, of it, others don’t. They’re an odd bunch, but not too Crazy. Emily is up there with the STEM people. In other words, her major is math related and there are times when I wonder if she’s related to Einstein. She’s not so math oriented that I can’t hold a conversation without her going on about how much she loves functions. She’s human, and for that I’m grateful. I’m not quite sure how I got paired up with her. The math, the thinking, I just don’t get it. We have a deal. I’ll help her with words if she’ll help me with my poor technology skills. Thus far, the arrangement has worked out pretty well. Lizzy is down to earth. She’s part of the Communications College like me. We have a couple prerequisites together this quarter. You might say she’s my study buddy. We may not see eye to eye on everything, but our one common thread is this: we all love what we do and we want to do it well. That’s good enough for me. I’m not gonna lie, I’d heard enough horror stories about bad roommates, that I’d nearly given myself a complex waiting to hear back after submitting my housing application. So, I was relieved to hear that in spite of my awkward tendencies, I’d been placed with people who won’t judge me. Welcome to my crazy life. I hope you enjoy the ride.